Perenially fashionnable with real lyophilised peas to preserve all their freshness. 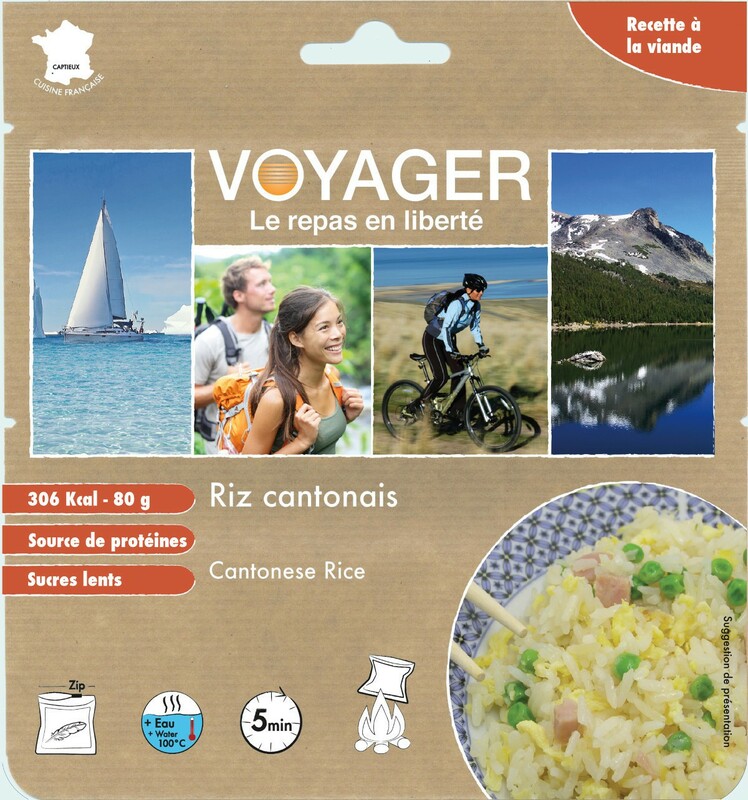 "Voyager" instant cantonese rice following the same way as instant pasta (ready cooked) makes your life easier with taste by giving a full ready cooked chinese meal. Puttin hot water directly into the bag. Mix well, close the bag and stay 5 minutes. Rice 74.75 %, freeze-dried ham, freeze-dried peas, eggs powder, black chinese mushrooms, spices and aromatic herbs, carrots, pultry stock, onions, salt, pepper. Gluten, eggs, milk and derivatives, soy, sesame.